Welcome to the Kim lab! I am a broadly trained plant-insect ecologist with a particular interest in understanding how environmental variability influences species interactions and biodiversity. I use this basic ecological knowledge about environmental variability to better manage insects and plants for conservation and sustainable agriculture, and to understand and predict how land-use and land-cover change influence biodiversity patterns and the provisioning of ecosystem services in human-modified landscapes. For more information about my research, click on the research link above. 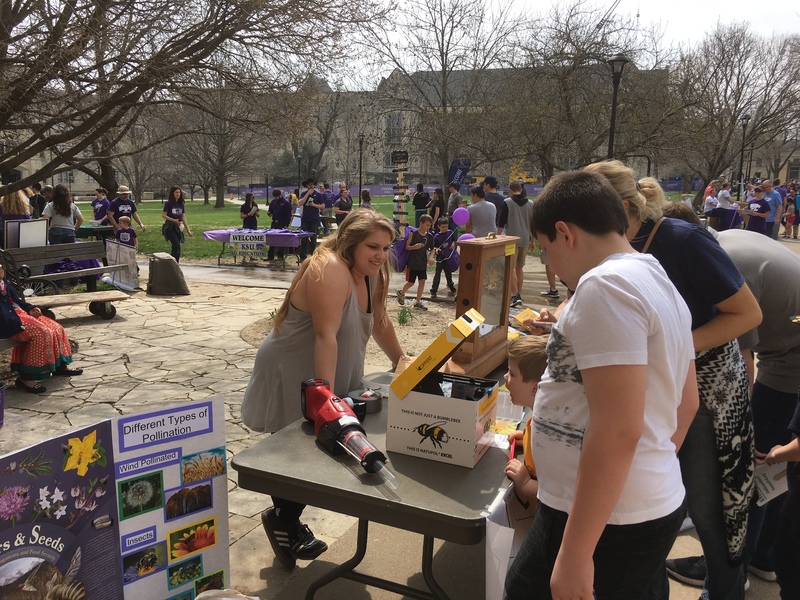 April 6, 2019: We survived our first open house at K-State! It was a beautiful day to showcase our pollinator conservation research and bumble and honey bee colonies! Thanks to Nikki Bowman from the Konza Beekeeper Association for helping out. Here is Savannah and a mesmerized 7-yr old. February 20, 2019: A global synthesis disentangles the effects of land use change on pollinators, natural enemies, and crop yield through their effects on insect abundance and richness. Check out our preprint. Jan 22, 2019: Interested in how insects impact plant health? 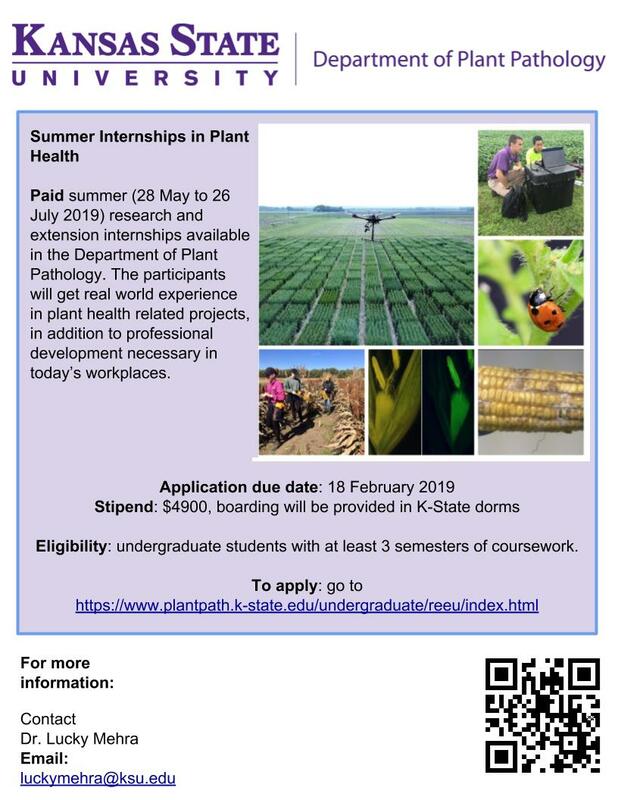 If so, then apply for a paid research and extension internship through the Plant Pathology Department. The stipend is $4900 for the summer (May 29-July 26, 2019). Deadline is Feb 18, 2019. Jan 13, 2019: Happy New Year! January and February will be very busy in the Kim Lab. First, I will at the University of KY to give two talks, start teaching a new undergrad course (Economic Entomology), participating in two beekeeping boot camps, host prospective students who will be visiting my lab, AND I have agreed to give two more talks in Biology and Plant Pathology this semester! Ack!! Super excited but a little overwhelmed! When is spring break?? For older lab news, click on Lab News.